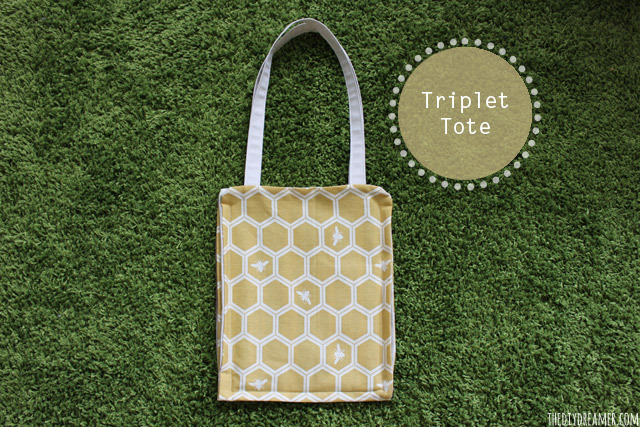 Triplet Tote - Sewing 101 - My first real sewing project! 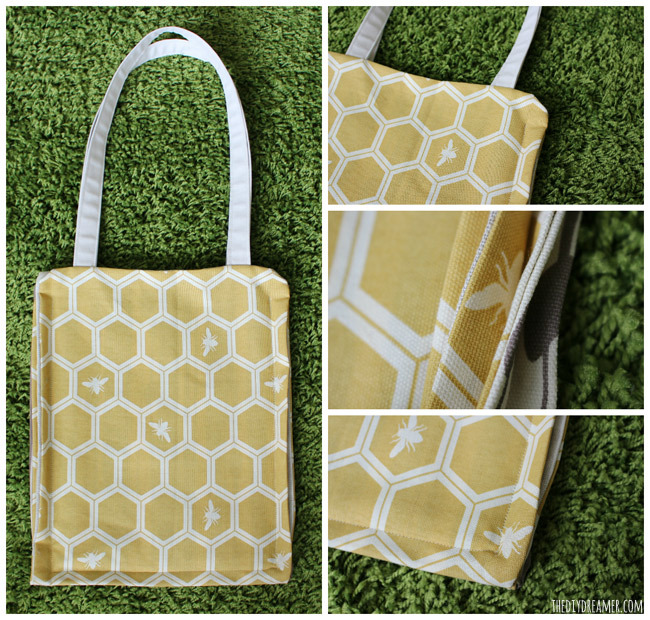 Triplet Tote – Sewing 101 – My first real sewing project! I completed my very first real sewing project! YAY!! I’m so excited! Back in December 2012 my mother-in-law bought me the most AWESOME gift ever: my very first sewing machine! Even though this awesome sewing machine had Confidence in its name, it still didn’t give me confidence to sew! I’ve realized that my problem doesn’t really apply to the sewing part, but mostly about cutting the fabric. I’m worried that I will cut the fabric wrong and then have to scrap it. Fabric is soooo pretty and it would just break my heart to have to scrap it. ANYWAYS, I’m hoping that after I have completed a couple of projects and get cut fabric more often, I’ll stop stressing about it (that’s what I’m hoping for). Enough rambling, I’m certain you’d love to see what I made! 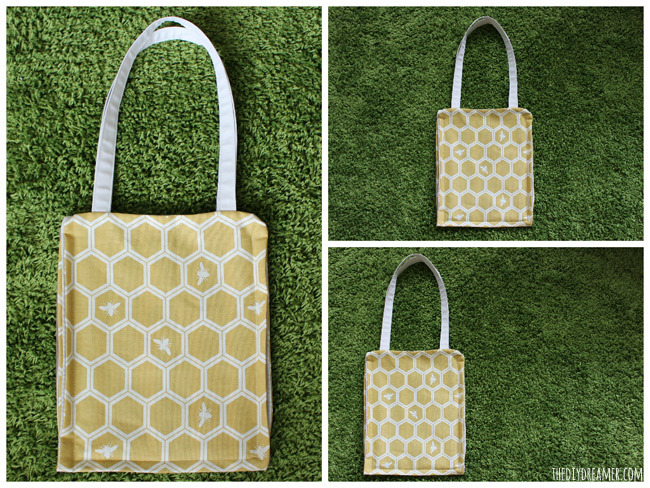 My friend Sara from Craft Snob came by the blog a few months ago and shared a sewing tutorial for beginners: Triplet Tote Sewing Tutorial. She made the most gorgeous bag I have ever seen PLUS it has three sections! Her tutorial is absolutely wonderful and shares every single step. 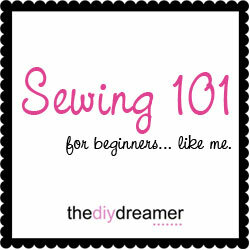 As soon as Sara shared this sewing project, I knew that I wanted to do it. She did say it was a project for beginners, so it would be perfect for me. I started off my taking out the fabric that I wanted to use. 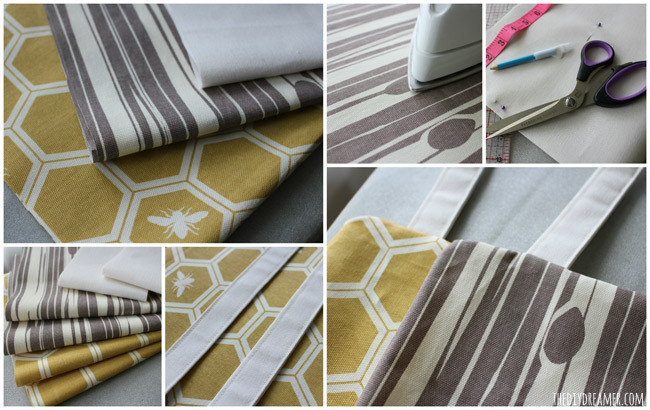 I decided on Honeycomb Sun and Knotty Bois by Jay-Cyn Designs for Birch Fabrics, The Grove, Organic Canvas that I got from Fabricworm. Once I had the fabric, I ironed it. Then it was time for the fun stuff, measuring and cutting! Ughhh… I took my time and tried not to worry about it too much. And guess what? I DID IT!! I cut the fabric correctly! I was so proud of my self! Making the handles was a lot of fun too! I thought it was going to be difficult, but it really was simple! My all time favorite part was assembling the entire tote. Seeing the finished project was an incredible feeling… I DID IT! I was so proud of myself, in fact I still am! OMG. Good for you!!!!! It’s awesome. love the fabric choices! 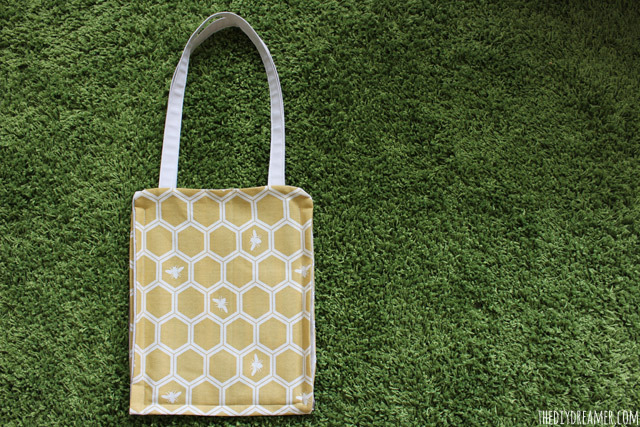 Great job on making the tote :) Always exciting when it turns out right! Beautiful tote!! It looks really simple to make. I have a great machine that is collecting dust. My mom sewed very well but somehow it’s something that has always intimidated me. Thanks for sharing. It’s lovely! Nicely done Christine. I’m going to pin this right away. I want to make one for myself! I just pinned this darling idea for our fashion club at school. 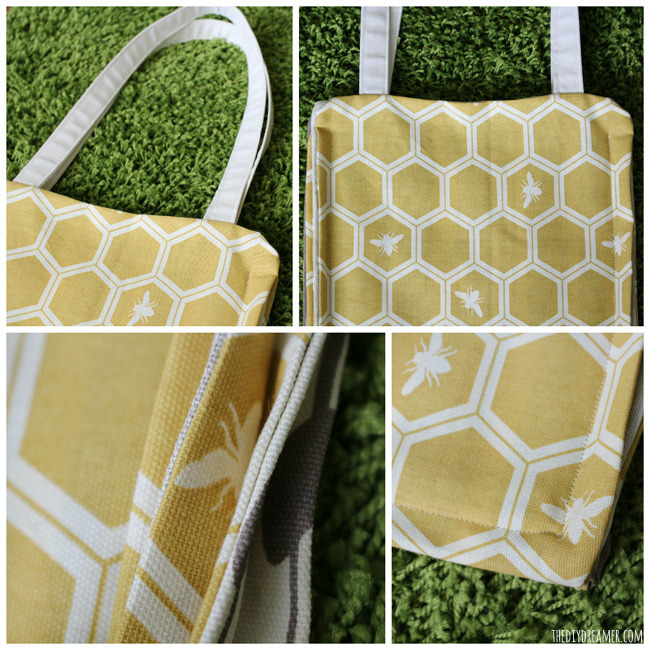 I love this bag, the fabric you chose is so cute! Thanks so much for linking up with us at The Project Stash Link Party! We are featuring your project this week and can’t wait to see what you link up next! This turned out beautiful!! You did a great job!!! I think I could maybe try and do this one! 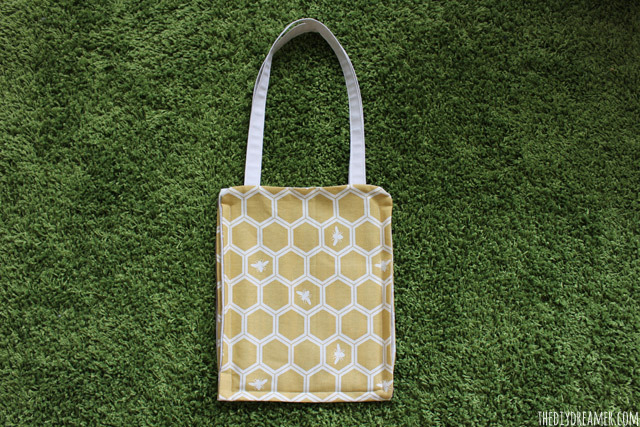 Love the tote and the fabric you chose!! Christine, It is great!! Now that you got your first one out of the way, I’m sure you will not wait too long to try another project. I love the look of that bag! Very unique! Cutting fabric is always my challenge too! Mostly because I’m too impatient to measure and measure and cut and measure again just to make sure. This bag is beautiful! 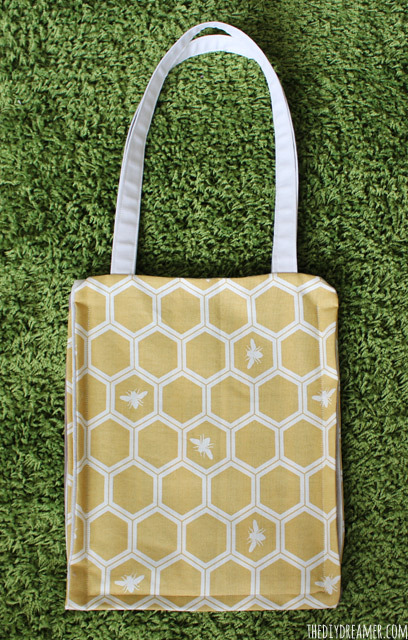 This tote is beautiful! It looks like something I could find at Anthropolgie! This turned out really nice. Thanks for sharing at Home Sweet Home.